Watching the Golden State Warriors is like watching someone play a video game on cheat mode. The team has been so consistently dominant for so long that one hopes the rest of the NBA enjoys taking on a submissive role in the relationship. 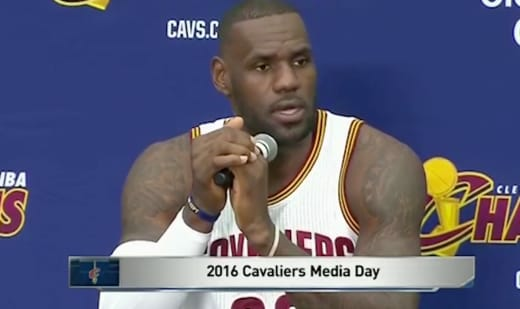 Unfortunately for Steph Curry and company, LeBron James isn’t eager to roll over and play dead. 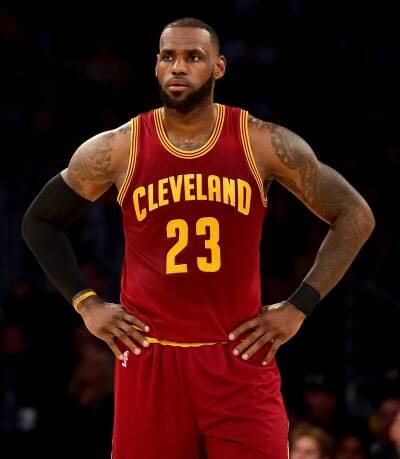 Sure, the rest of the Cavs might be, but King James wants to bring another title back to the Land, and he’ll do whatever it takes to bring his team back from its 3-0 deficit in the NBA finals — even if it means indulging in some old-fashioned superstition. It’s based on the idea that athletes who date members of the Kardashian clan are more prone to, um … performance issues, and may even bring their entire team down as a result of their relationship. Now, Khloe Kardashian has been dating Tristan Thompson all season, and his team made it all the way to the finals, so we think t would be safe to say his teammates don’t buy into such nonsense. But there are those who say LeBron James is a believer in the curse, and that he feels Thompson’s relationship has been bad for the team. “Cavaliers players are paranoid right now and fear the Kardashian curse might be a very real thing as they face a finals sweep by the Warriors,” one insider tells Hollywood Life. “Professional athletes are very superstitious and so they are looking for any explanation, logical or illogical, to explain their bad luck against the Warriors,” says the source. 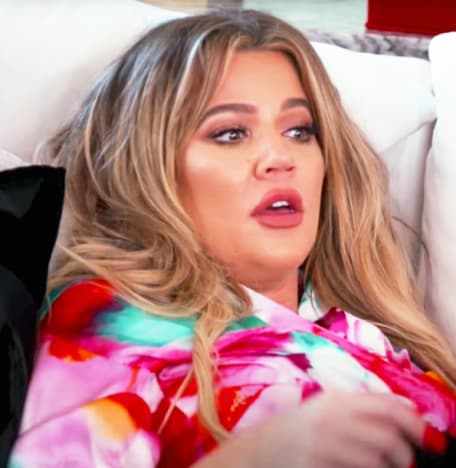 If there’s any truth to this report, those “rumblings” must come as quite a slap in the face to Khloe, who has stood by Thompson’s side despite revelations that he cheated on her while she was pregnant with his child. Khloe has been in attendance at Cavs games and has remained in Cleveland in the months since she welcomed her first child. It remains unclear what the future holds for Khloe and Tristan, but insiders say the couple is intent on working things out. But first, Tristan and his team have to attempt to defy impossible odds and come back against a team that’s been described as the most dominant in NBA history. Here’s hoping Tristan doesn’t secure his place as the world’s most egregious d-bag by breaking up with the mother of his child over a stupid superstition. Donald Trump: Did NBC Execs Try to Bury Billy Bush Tape? Amber Rose: Did She Leave Val Chmerkovskiy for Wiz Khalifa? !